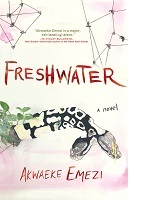 “This is a disturbing debut from the mind of a bright star in the firmament of writers,” said Linda Bond of Auntie’s Bookstore about Akwaeke Emezi’s debut, Freshwater. 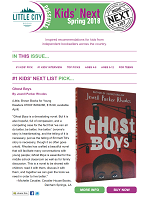 Booksellers can sign up now to join more than 100 fellow bookstores that have opted to send the free, store-branded adult or Kids’ Indie Next List e-newsletters to their customers. 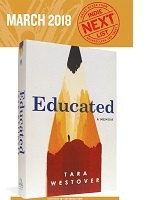 Based on sales at independent bookstores nationwide for the eight-week period ending February 18, 2018. 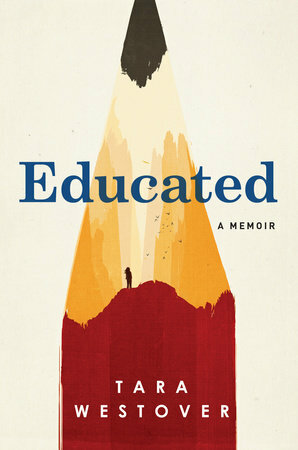 Westover writes of her childhood living off the grid on a mountain in rural Idaho in Educated: A Memoir, which was chosen by booksellers as their top pick for the March Indie Next List. A 12-year-old boy is killed by police while holding a toy gun in Jewell Parker Rhodes’ new novel, which combines history and fiction to tell a story that explores how black children are seen in society. “She’s honest, she’s real, and she’s a talented writer,” said Lynn Rosen, co-owner of Open Book Bookstore, about Mothers of Sparta debut author Dawn Davies. Based on sales at independent bookstores nationwide for the eight-week period ending February 4, 2018. Tom Malmquist’s In Every Moment We Are Still Alive is “a story of love, loss and grieving, but also the hope that arises from the beginning of a new life,” said Linda Bond of Auntie’s Books. The February 2018 audiobook bestseller list is based on sales through independent bookstore locations participating in the Libro.fm audiobook program during the month of January. “The Dangerous Art of Blending In is a pleasure to read, even as it goes to dark places,” said Christie Olson Day of Gallery Bookshop & Bookwinkle’s Children’s Books.